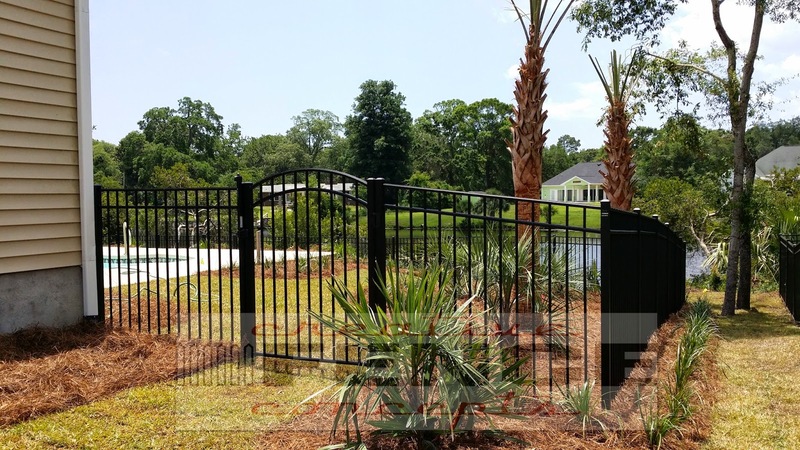 Whether your in the market for an aluminum fence, a vinyl fence, a wood fence or a chain link fence, we are the Myrtle Beach fence company of choice to help get your project going in the right direction. 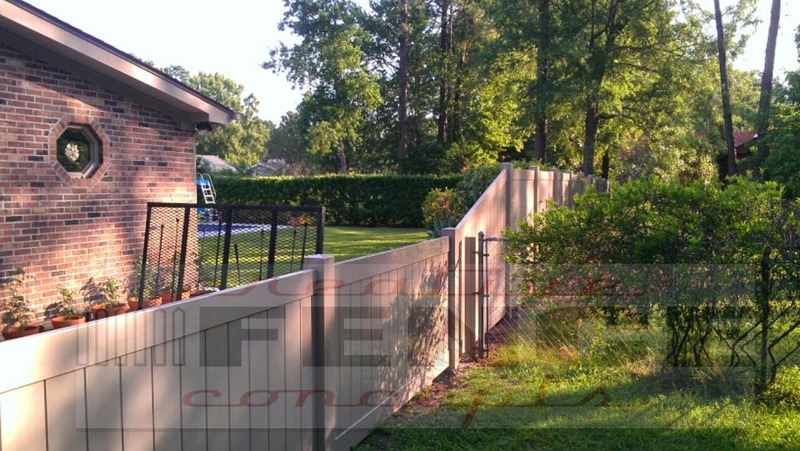 Our lineup of vinyl fence products come from national fence manufactures. When it comes to aluminum fence systems, we exclusively carry the best on the market with the Ultra Aluminum brand. This fence is about 20 percent stronger than the other products on the market. Our direct relationships with our vinyl manufactures allow for us to create that one of a kind look, pool compliant pickets fences, and all the rest of our standard designs. WE HAVE 100'S OF VINYL FENCE DESIGNS AND COLORS TO MAKE THAT FENCE PROJECT OF YOURS HAVE JUST THE RESULT THAT YOU ENVISIONED. OUR ALUMINIUM FENCE SYSTEMS COME IN 9 STOCK COLORS AND TEXTURES AT NO ADDITIONAL COST. OUR COLORED ALUMINUM RUNS ON THE SAME TIME SCHEDULE AS THE BLACK. WE CAN CREATE ANY SIZE OR HEIGHT FENCE WE NEED FOR YOUR PROJECT. WHEN IT COMES TO CHAIN LINK FENCING SYSTEMS WE CAN OUTFIT YOUR HOME WITH A LARGE VARIETY OF SIZES AND COLORS. OUR GATES ARE CUSTOM BUILT TO ANY SIZE THAT MAY BE REQUIRED FOR ANY SIZE ACCESS YOU MAY WANT TO FIT THROUGH. ALL OF OUR WOOD FENCES ARE CUSTOM BUILT ON SITE TO FIT THE STYLE SELECTION YOU CHOOSE. MAKE YOUR STATEMENT WITH A ONE OFF WOOD FENCE ON YOUR PROPERTY. WE BUILD OUR OWN GATES TO CREATE THE OPENING YOU NEED. 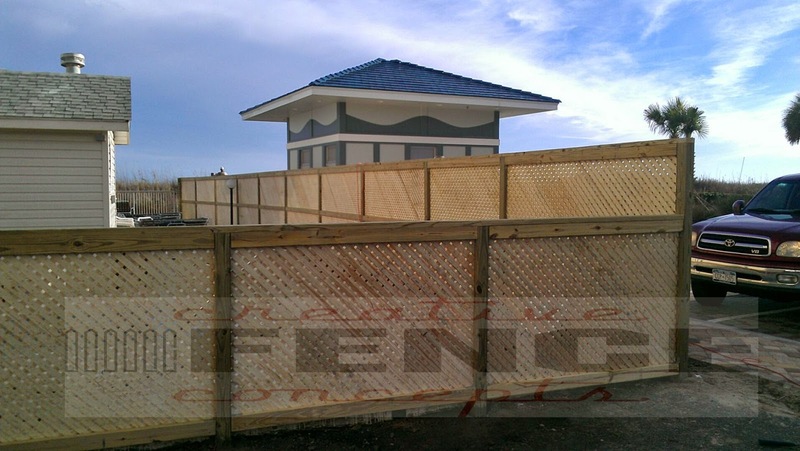 COMMERCIAL FENCING OF ANY TYPE CAN BE INSTALLED TO YOUR PROJECT SPECS. WE CAN DO HEAVY GRADE VINYL FENCE, RESIDENTIAL-INDUSTRIAL ALUMINUM FENCE, HEAVY COMMERCIAL CHAIN LINK WITH ANY GATE THAT MAY BE REQUIRED OR CUSTOM WOOD DESIGNED TO FIT THE PROJECT. We are also one of the Grand Strands leaders in commercial fencing. 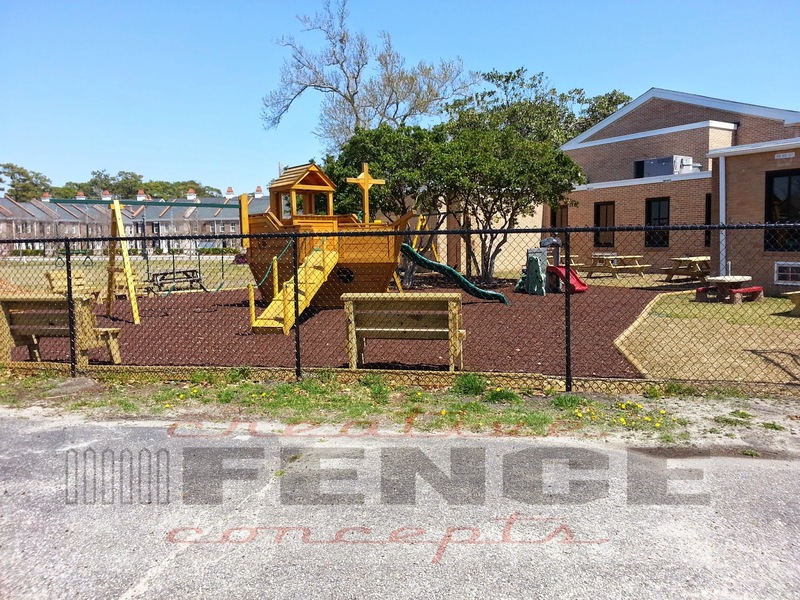 When it comes to commercial fencing we install for many of Myrtle Beach's major contractors as well as the attractions around town. From zoos to airports to detention centers and beyond, we handle some of the highest profile projects that coastal South Carolina has to offer. We are more then willing to travel for our contractors to complete the projects they are working on. There is no commercial project that we can not take care of start to finish. 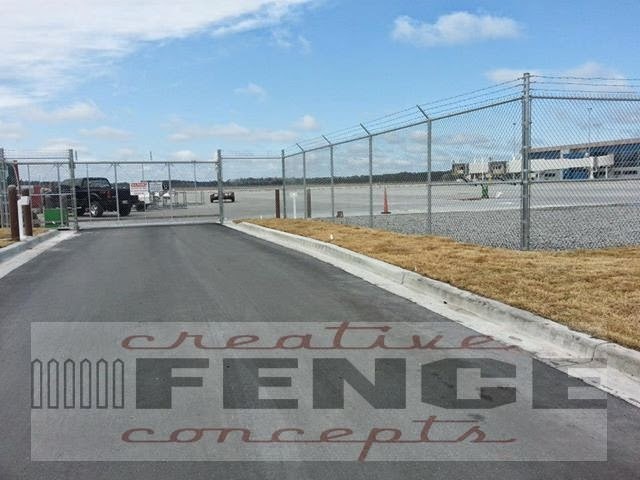 If a new fence is on the list of projects around the home or commercial site, Creative Fence Concepts of Myrtle Beach is the clear choice of fencing companies. With our offices and warehouse here in Myrtle Beach we have proven our commitment to bring you the best products, services, and warranties on the market. Creative Fence Concepts, Inc. is owned and operated by two veterans that proudly served our country and now bring that same level of professionalism and integrity back to serve the community. It is always our goal to have 100% satisfaction on your fencing project. With 14 years in the Myrtle Beach marketplace, and over 20 years in the fence industry, we are here to stay.